Love needs a small but a heartiest effort to be expressed! So how about expressing love with this attractive Heart Shape Chocolate Cake? Well it will be great idea indeed! 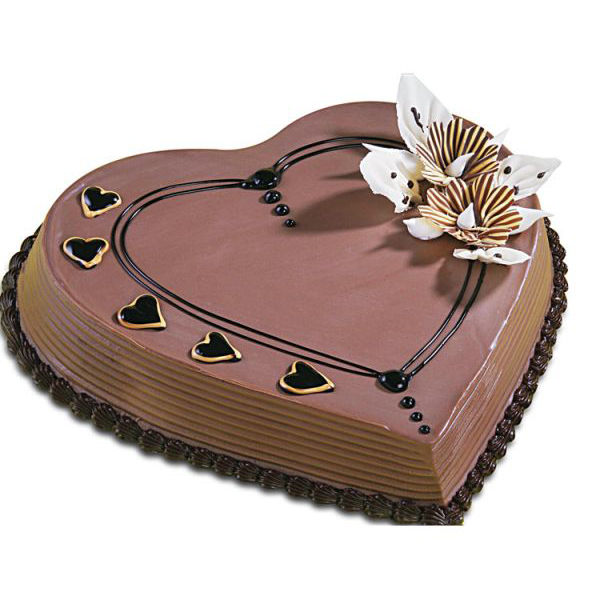 All that you need is to place order for this Premium Chocolate heart shape cake that comes with attractive icing and decoration to be the center of attraction of any celebratory moment of the year. A bite of this flavourful chocolate cake will definitely make anyone desire for some more. Along with spongy bread base and creamy topping, the major ingredients of this cake are flour, powdered sugar, baking powder, eggs, chocolate and more. One can also order for eggless version of this cake to enjoy it during occasions of merriment. 5 Beautiful piece of art.